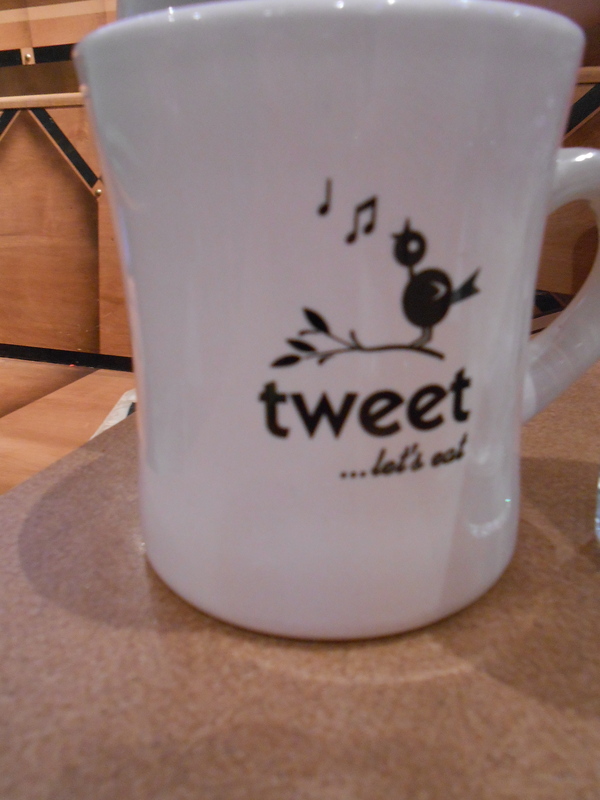 Tweet is a brunch place near Argyle at 5020 North Sheridan. The breakfast place is super friendly towards people in need of gluten-free options but can get pretty packed. Tweet is open from 9 am to 3pm and they stop seating people around 2:45 pm. restaurant is a cash only restaurant and is attached to the Big Chicks bar and both have several sort of vintage pin-up art throughout. When we went it was a rather busy afternoon. We gave our name and were sent to the bar where we could order drinks, read the paper or grab a game and play. We started a game of Yahtzee while we waited but our name was called quickly. We had chosen to sit inside and enjoyed the atmosphere. 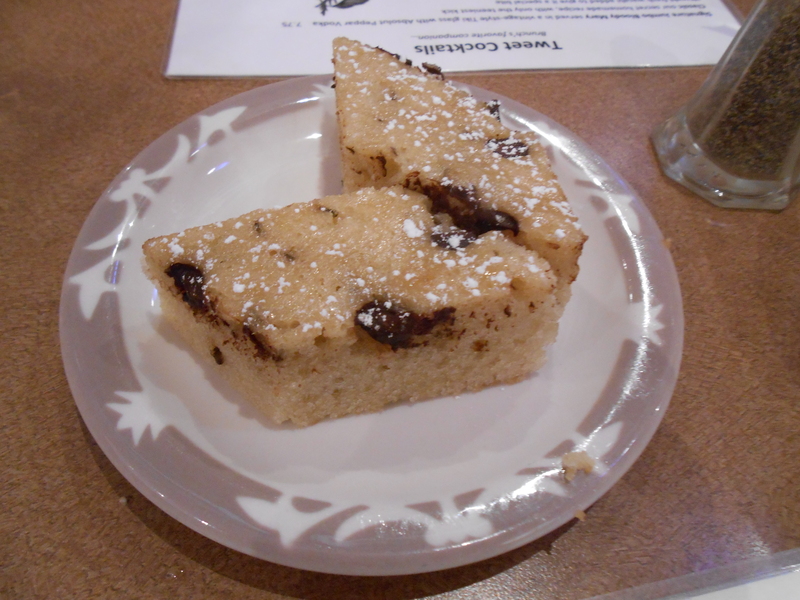 There was a pastry waiting for each of us at our table. 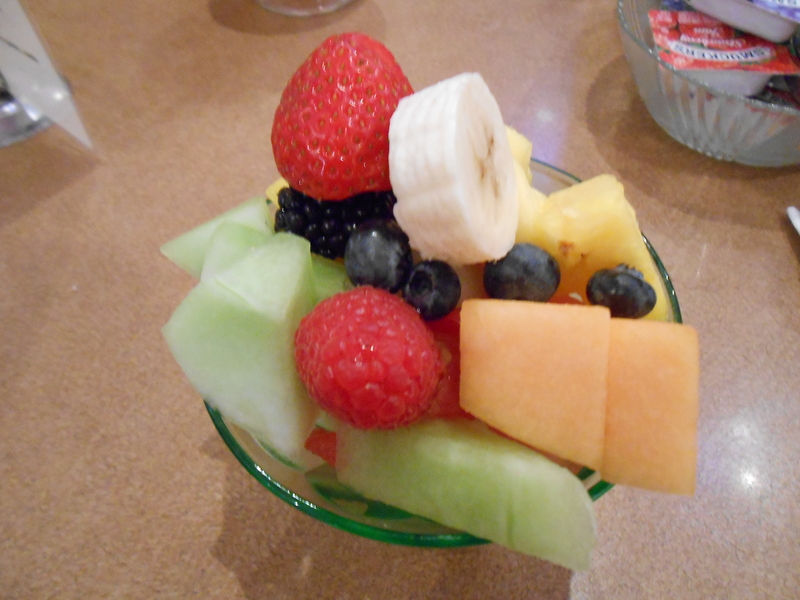 Our breakfast came with a fruit cup or compote. We both got a fruit cup and I was surprised by the variety and just how much came in the fruit cup. It was wonderful. 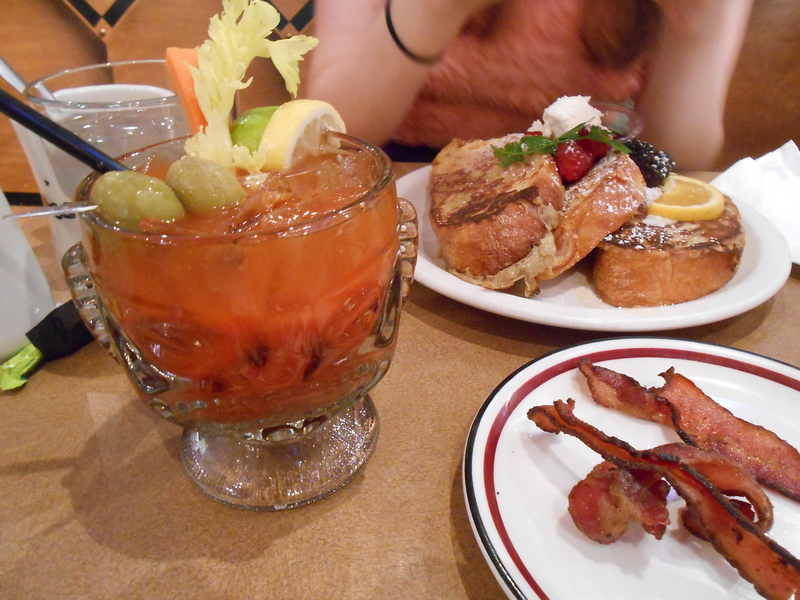 My friend ordered the French Toast, a side of bacon and one of their spicy bloody marys. It came in a large glass and I didn’t try it because my friend told me how spicy it was. She was only able to finish it once the ice began to melt and dilute it a bit, but she did like it. It was just bigger than she expected and caused her to be a bit tipsy for a couple hours later. Our waiter told her that the french toast was so amazing that he had changed his facebook relationship status to be with it. By the end of breakfast she told him she was going to have to marry it. I enjoyed the bit I tried, but loved my pancakes. I ordered the gluten free pumpkin pancakes. It was delicious. 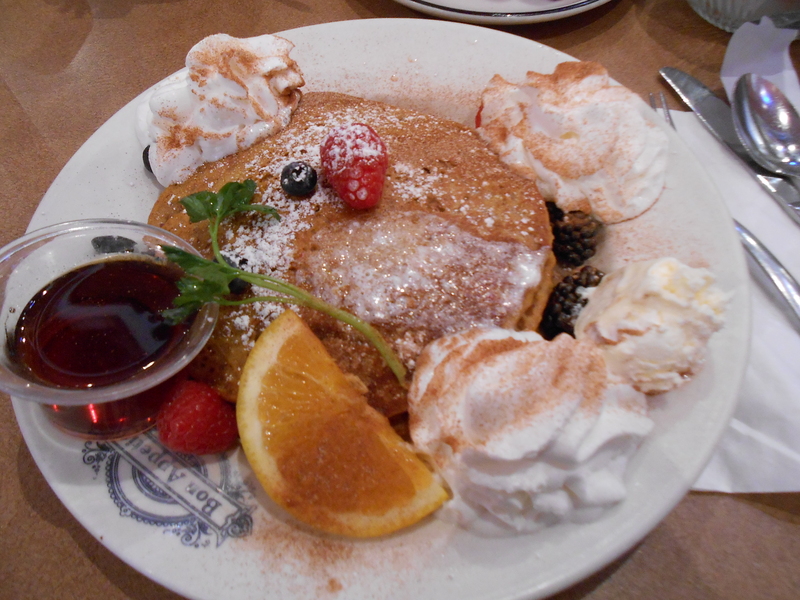 It was dusted in cinnamon sugar and had whipped cream. The pumpkin and spices they added were great and I would happily get it again. 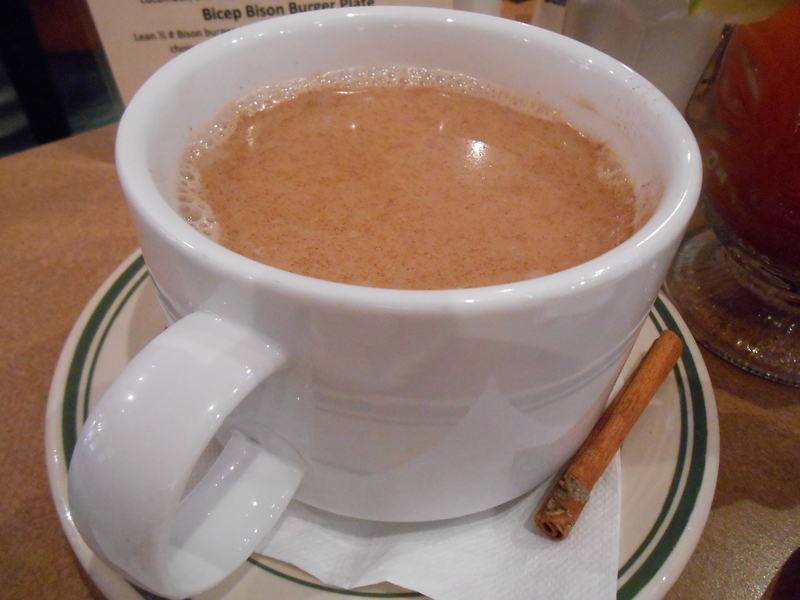 I also ordered a chai tea latte with almond milk which gave it a very interesting taste, a bit like it wasn’t tea anymore. It was still enjoyable. I think if I go again I will order a normal tea because as I left I saw some out and they were given out in such beautiful delicate tea pots and tea cups. 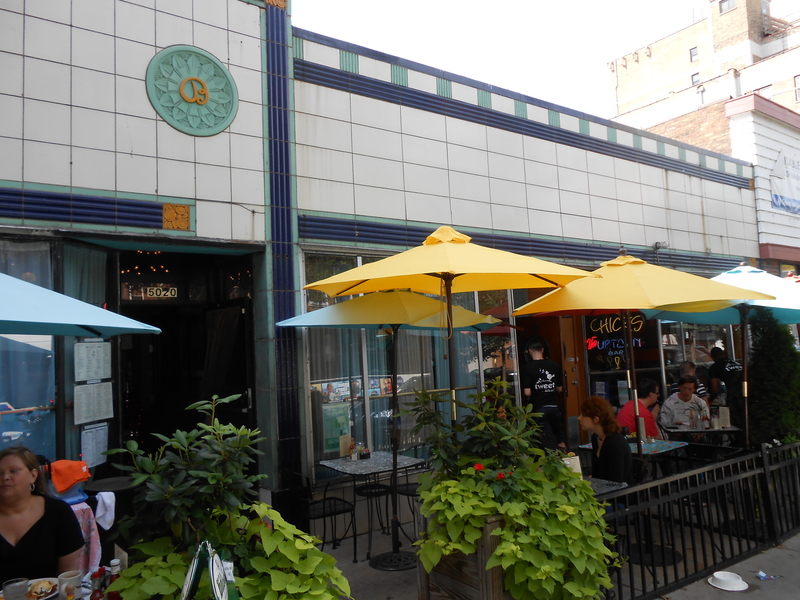 Their outside seating is also nice if you have a dog and want to stop by and eat outside with your dog. They have little water bowls set out for any that come with their owners for breakfast or brunch.